Finally!! 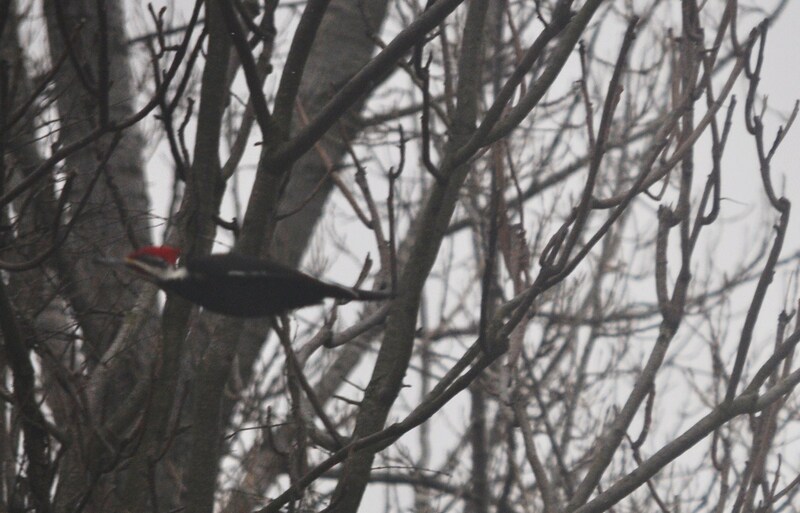 I got a picture of the pileated woodpecker, at least one of them, that have been living at the edge of our property for the past two years. We hear them all the time. I saw one of them once a year ago. 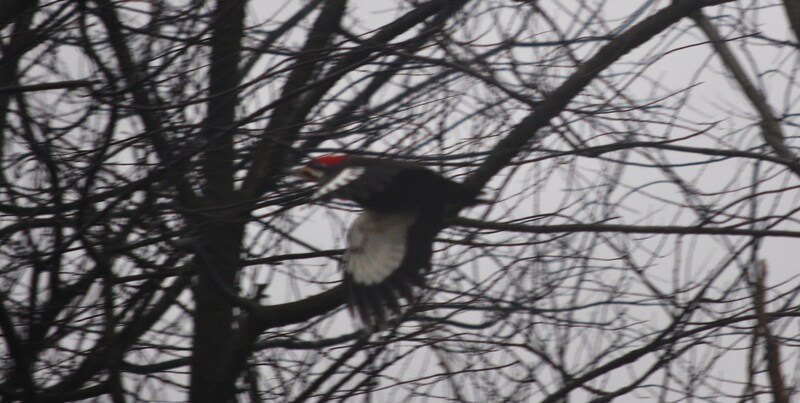 Today they came out and visited the side yard right out our window. 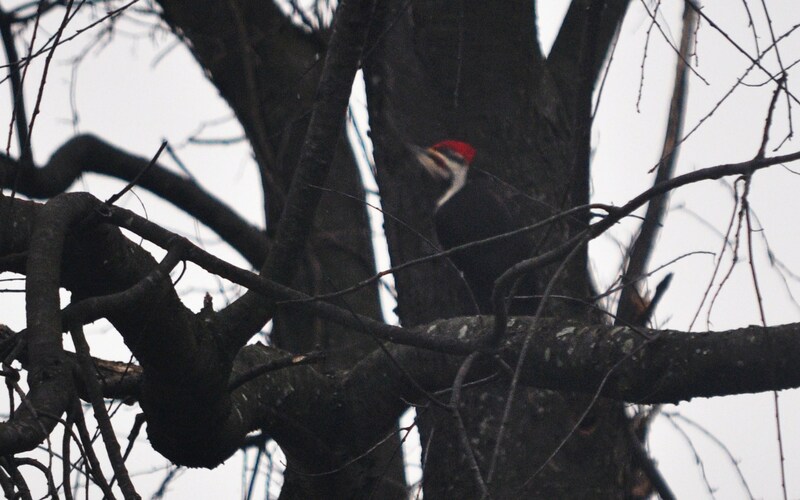 Not the best picture as he wouldn’t keep his head still, but I did get him as he was checking out all our dead trees on the property line. I also managed to catch him as he left. Twice. A highlight on a dreary rainy day in west county. The varied bird community on the edge of the forest and the fields. Posted in Birds, Howard County, West HoCo and tagged birds, Howard County, nature, photography, West HoCo. Bookmark the permalink.